Loading reels on a packaging machine can be a strenuous task nowadays because modern machines can output hundreds packs per minute and reels have to be replaced in the machine very often. Reels of packaging paper or film for feeding a shrinkwrapper or a packaging machine are heavy and bulky. Operators must use a lift assist device for moving the reels and placing them inside the packaging machine. Lift assist devices must be user-friendly and reliable otherwise operators are tempted to avoid using them. 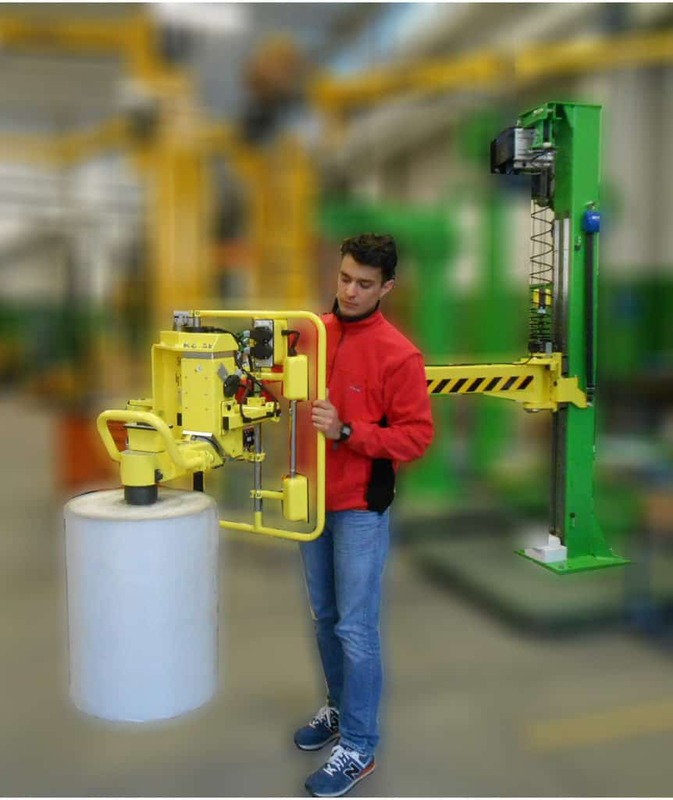 Scaglia INDEVA boasts great expertise in designing and manufacturing industrial manipulators for handling reels and loading packaging machines. Our manipulators comply with all regulations and directives relative to ergonomics and safety and operators feel confortable in using them.